DOHA: By 2018, the halal food trade market will soar beyond $1.6 trillion. Halal products beyond food such as cosmetics and pharmaceutical nearly double this trade figure. Every study on halal product trade potential of Pakistan places it among top five Muslim countries. The abysmal reality on the ground is just another matter, though. A 2016 study by the KCCI placed Pakistan as the 19th largest meat exporter with beef being a preferred commodity. It also claims that meat industry here has grown at an annualised rate of 27% from $14 million in 2003 to $244 million in 2015 with 708,968 tons of meat exported. New Zealand, remote and much smaller in size compared to Pakistan, is the world leader in the halal export market. The challenges facing the halal food sector stem from a lack of broader vision in Pakistan to play its rightful role. The country has a less productive system with primitive processing system working in the absence of a value chain besides the very obvious quality control issues. Nonetheless, not everything is going down the hill. The law to create an authority to regulate trade in food products as per Islamic laws has been enacted. The board of governors of Pakistan Halal Authority (PHA) will comprise stakeholders both from the federal and provincial governments, Shariah scholars and chambers of commerce. Now, the provinces must come up with their respective halal authorities. For now, Punjab is the only province with existing legal and prescribed standards and processes for certification of halal products. Months after the law came into force, the authority is nowhere to be seen. All that exists is the Halal Research Council, which was mandated to issue halal certification. Parliament could not fix a structural flaw in the authority’s draft that instead of being independent of any ministry, the science and technology ministry will run the authority. Take the example of Malaysia owing to almost similar conditions. The southeast Asian country has its own halal standards, recognising some 100 organisations across the world as halal certification bodies. Jamia Markaz Uloom Islamia in Lahore is the sole Pakistani on the list. Malaysia can be a model and partner of Pakistan in establishing protocols for guidance for halal meat and poultry preparation. Punjab has been trying to follow the Malaysian model. The halal food industry has a compound annual growth rate of about 7%, which can be only exploited if Pakistan implemented regulations in sync with international standards. Even if stringent quality controls on hygiene, quarantine, animal’s health, packaging and refrigeration are put in place, Islamabad needs a few years of concerted efforts to exploit its projected potential of multi-billion halal trade. Like fruits and vegetables, Pakistan leaves much to be desired in its capability and technical know-how in processing, storing, transporting and marketing of meat. Neither have there been capacity building programmes for farmers nor butchers and meat transporters. Luckily though, there exists income tax exemption for investors installing modern meat processing plants. 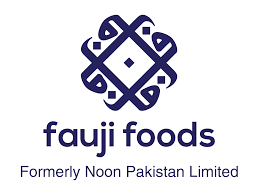 For that matter, Fauji Group’s Fauji Meat Limited installed a state-of-the-art plant last year with capacity for 85 tons of beef and 15 tons of mutton in both frozen and chilled categories per day. However, the fledging brands like K&N and Dawn Foods have not really exploited export potential yet. Interestingly, Zebu breed of cattle from central and southern Punjab has lower levels of fat and serve as flag carrier of Pakistan in the beef export segment. Yet, at least 6 million male calf are slaughtered in the first month of age. Demand for mutton and poultry aside, import of beef in the Middle East and North Africa alone surpasses $2 billion. Egypt is one of the top beef importing countries, followed by Algeria, Saudi Arabia and the United Arab Emirates. Moreover, Turkey and Indonesia are huge markets for halal products in the Muslim world. Media reports indicate that Fauji Meat has been pursuing key importers in Saudi Arabia, Malaysia, Egypt, Qatar and the UAE. The increasing appetite for halal meat is an interesting phenomenon. Though slaughtering process being 10 times slower than stunning, the halal and kosher meat is clean and healthy. Add to the equation surging Muslim population with better living standards. For instance, the Muslim population in North America alone exceeds 5 million who predominantly opt for halal food. Europe has a similar story too. An average Muslim, according to French surveys, consumes meat three times more than his other neighbours, according to conservative estimates. In stark contrast to the outside world, meat industry hardly gets the attention it deserves owing to it being their staple food. Meat is an industry run for profit, which like any other in its league would cut corners to save expenses and maximise profits. The oversight of the state and the civil society can’t be absolved of their vital role while anticipating immense dividends. The writer is a Pakistani investigative journalist and academic with extensive reporting experience in the Middle East and North Africa. He is based in Doha and Istanbul. « Opinion: Why are so many Muslims suddenly visiting Japan?